OK, that's about as political as I want to get - this gallery is about photography. 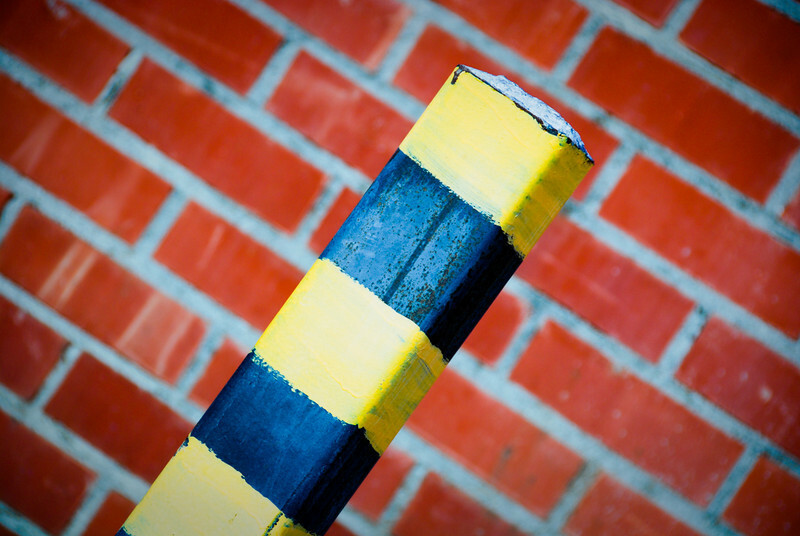 Took a photo of a yellow striped post and some red bricks. I thought they made some interesting patterns. I upped the contrast quite a bit. I don't like how parts of the yellow stripes appear overexposed, but there wasn't much detail anyways. I like the contrast in this shot. Quite nice. Great colors and contrast. I like the angle. bright and contrasty -- nice take. Very nice contrasting images...and yay Obama too!